The custodians of the tidal Thames have announced plans to get river walls ship shape, by recruiting a designated maintenance team. The Port of London Authority (PLA) unveiled plans to launch a new workforce at a public meeting in Putney this week. As part of the PLA’s civil engineering department, the new upriver maintenance team will be made up of four staff tasked with repairing river walls and revetments that protect the riverbank on PLA land between Kew and Putney. The recruitment process is set to begin in the next few weeks and site work will start once induction and training have been completed. Needed work has been identified during detailed inspections of walls and revetments by the PLA’s Civil Engineers. Work will be carried out on assets owned by the PLA, rather than on assets owned by riparian land owners or works that have been licensed by the authority. The team’s other duties will include repair of revetment steps and “low-level” vegetation management. PLA civil engineer Derek Maynard said: “We think the team will be a great addition and we’re currently looking for a suitable location for a permanent site to accommodate the team, somewhere along and/or near the riverbank. 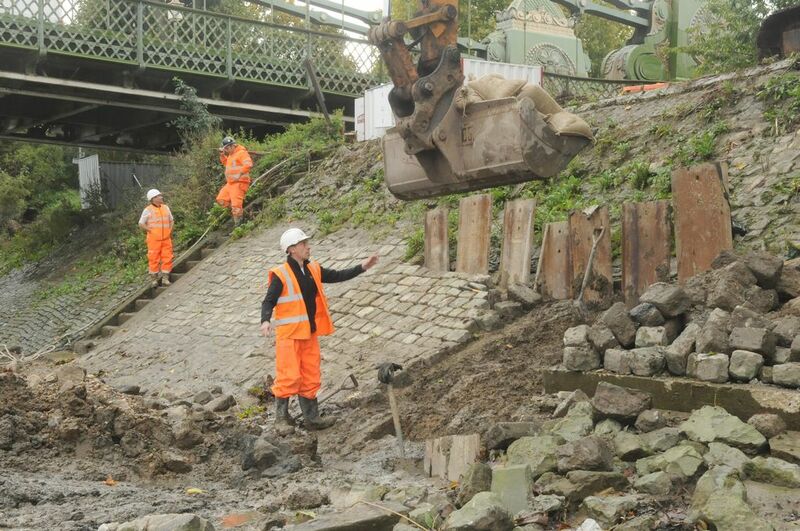 This is an important ongoing and focused programme of work to protect the integrity of the towpath and flood defences behind the revetment in areas of west London.